DAVID LE/Staff Photo. 2/13/15. 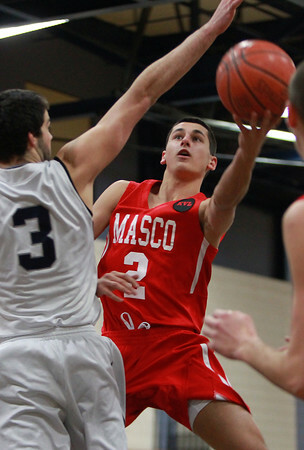 Masco senior captain Jake Rudolph (2) glides in for a layup while being contested by Hamilton-Wenham senior Jimmy Campbell (3).